Create with Gwen: Batman Birthday! 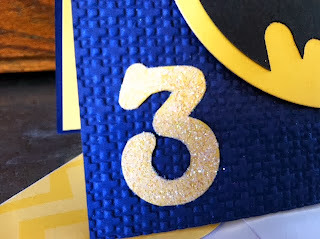 Our grandson, Samuel is 3 today! 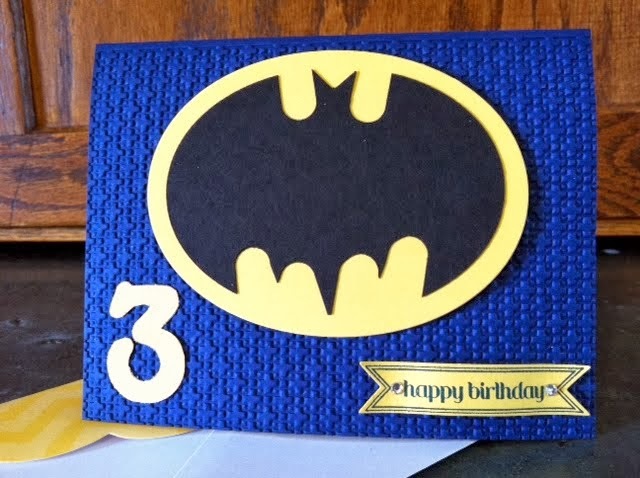 He is into all the Super Heroes lately, so I made him this Batman Card! So fun and easy! how to "punch" your way to a Batman logo! Needless to say, Sammy loved it!